Happy almost Friday;) It's time for me to share 2 cards that I made with the Avery Elle Storybook set! This set (which has coordinating dies) is full of sweet animals with a little bit of vintage feel. Super cute! My second card is a bit of an experiment. Oftentimes, my experiments end up in the trash can, but I really like how this turned out! When I was making it, I was thinking of the Velveteen Rabbit. I started off my blending a rectangle onto the card base with Distress Inks (I masked off the rectangle). 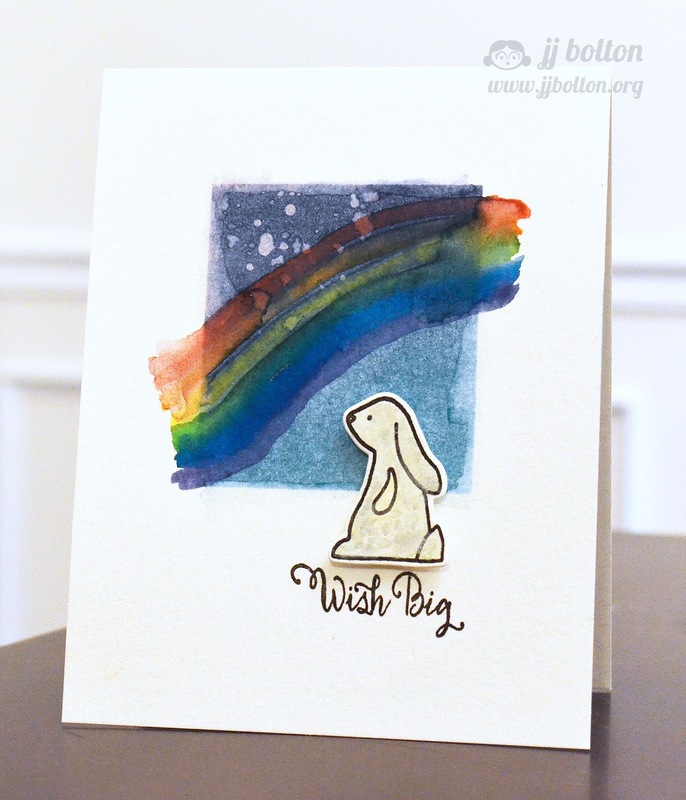 Then I used my watercolors to paint a rainbow over the rectangle. Above the rainbow, I sprinkled a bit of plain water. I also painted the edges of the rectangle with some plain water to soften them up. Here's a little closer look at the coloring. I'm sure there are real artists and teachers out there cringing at my technique (or lack thereof), but I really like the messy look:) I even painted my Velveteen Rabbit with a little gray paint. That's it for me! Big thanks for dropping in! Take care and see you again soon! These are both so ADORABLE! 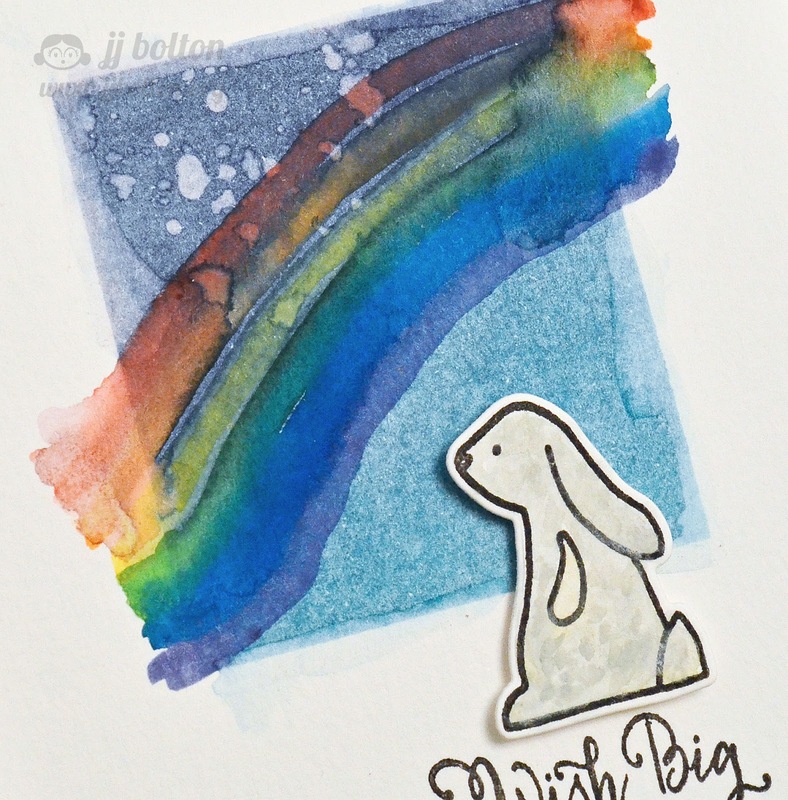 Love how you did the rainbow...simply, amazing! These are so cute! 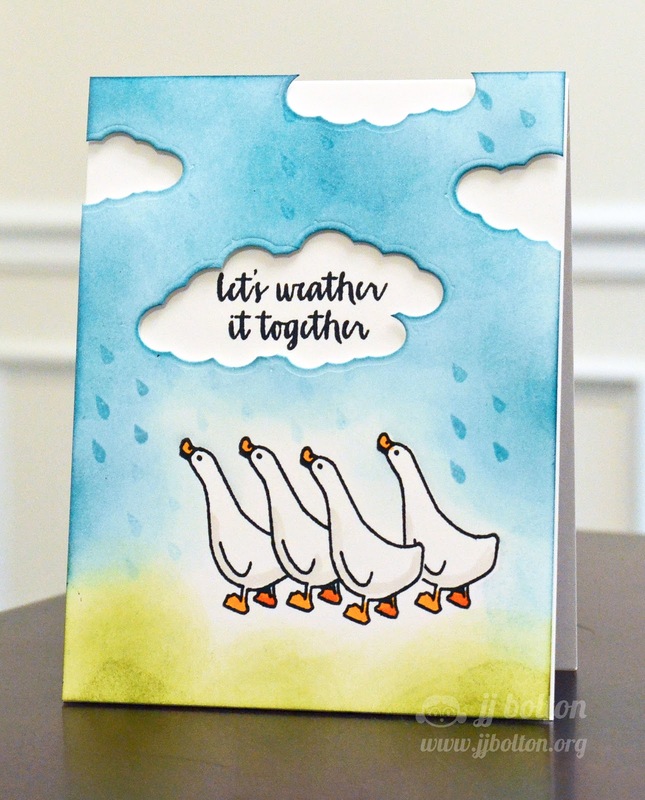 I just love that gaggle of geese and yay for experiments! OMGosh, JJ...your cards are fabulous! I love how you paired the Storybook set with Weather It on your first card, and your rainbow is just beautiful on your 2nd card! Both are so sweet! Thank you so much for your lovely note...you are such a great friend, and know just how to 'Make My Day'! Hugs to you! Super sweet! I have to ink up my set!